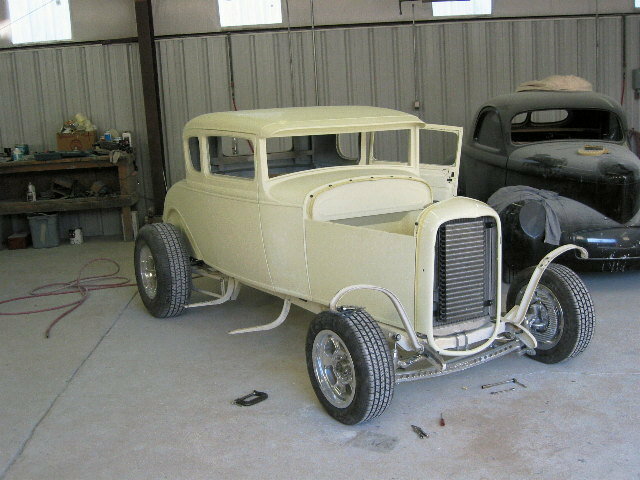 Bill Kyzer's Model A is undergoing extensive modifications at Street Rods by Michael. The floor has been replaced and some much needed metal work is underway. 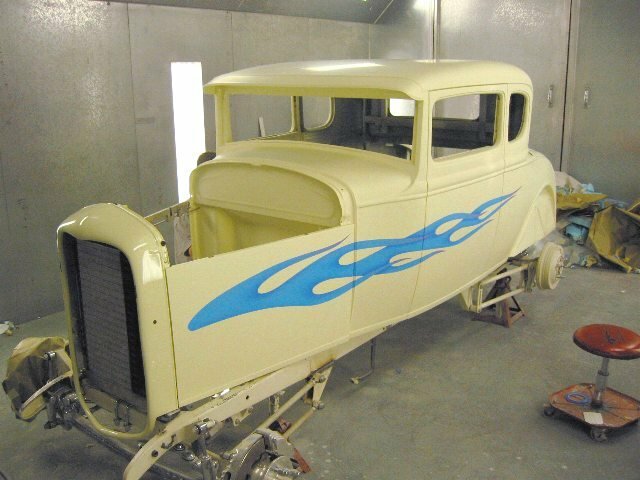 Follow along as we resurrect this Model A. 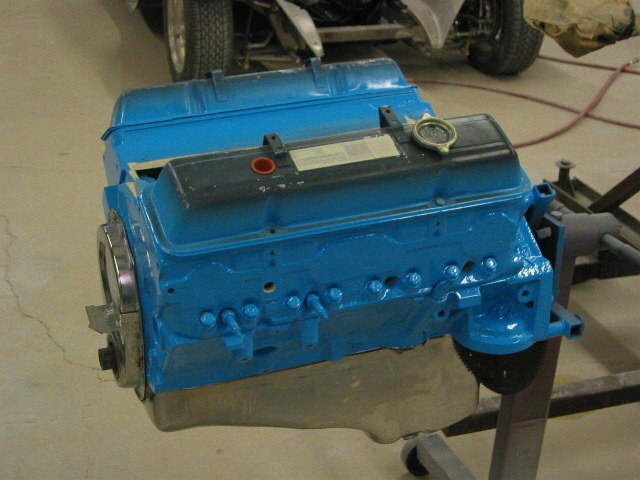 Body has been put in primer and sat on the chassis. 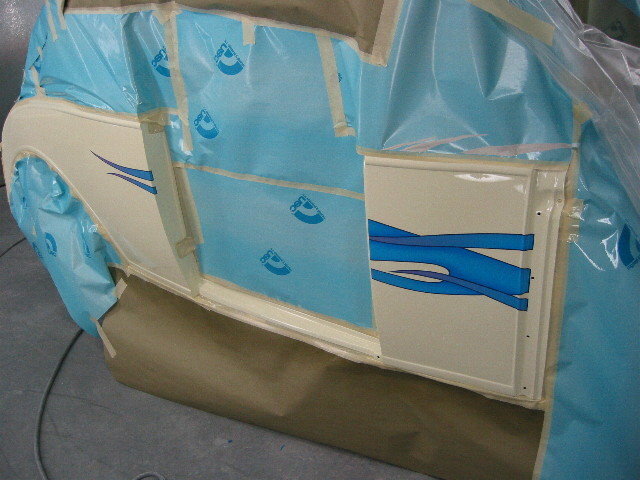 Fitting the fenders and adjusting the running boards to splash aprons. 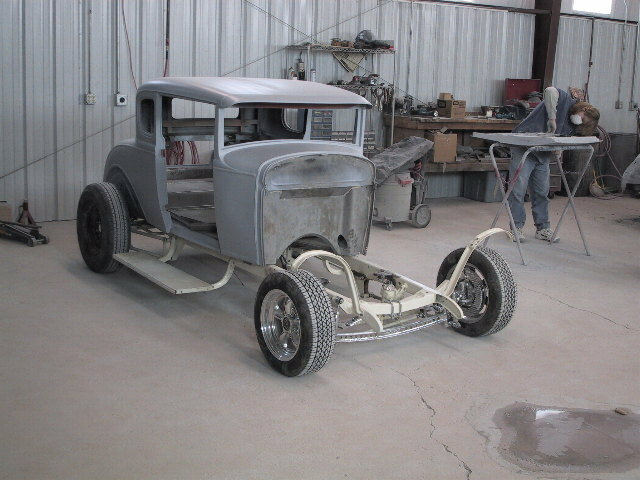 Using a heat gun to remove some of the old paint for some welding on the chassis later. This is also a good view of the recessed firewall from D & S Sheet Metal. 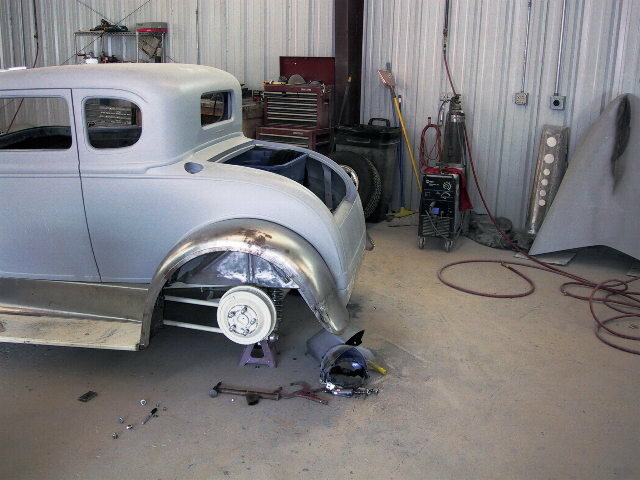 We had to split the rear fender just a little bit to get the roundness back into it, as it fit up against the rear quarter panel. The fitting process is coming along very well. 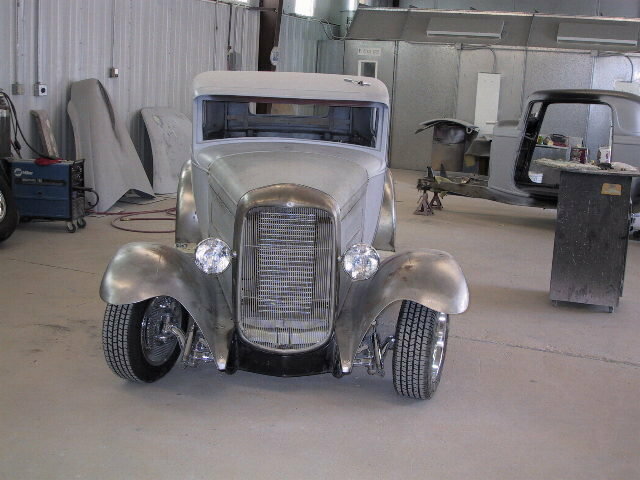 You can notice that the front end is sitting a little high because there is no engine in the vehicle. 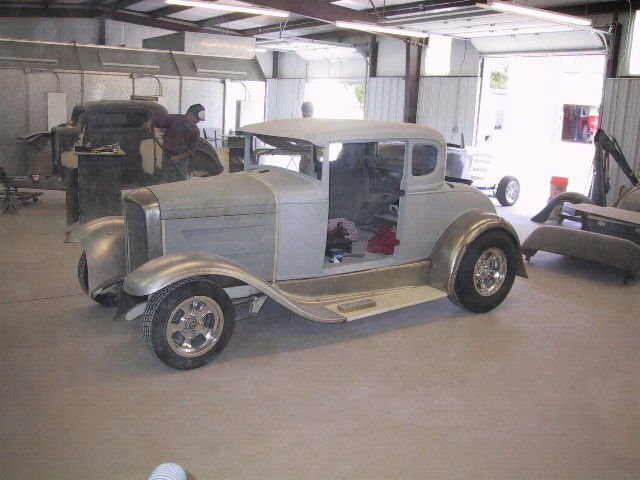 Also, we have not started fitting the doors yet. We will flush mount the doors. The stance is starting to look better. We work to have a 4 degree rake. This seems to have the best eye appeal. 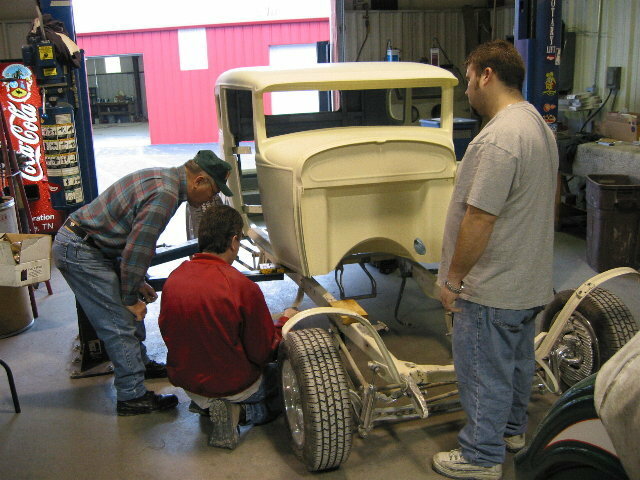 Turning the front wheels to check for wheel clearance. 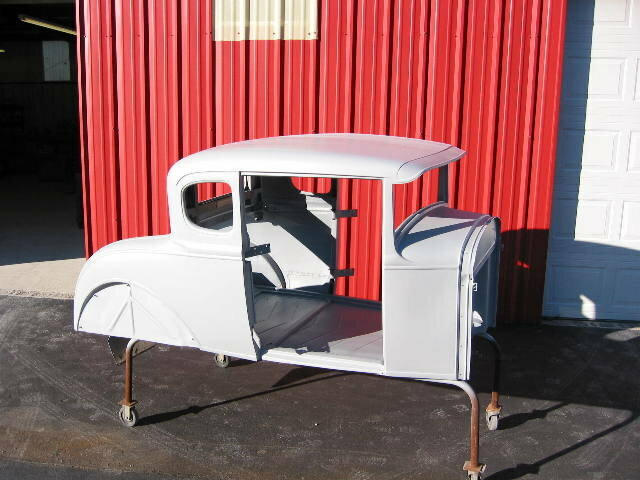 The body has now been primered in and out and will be going into the paint shop to finish up. 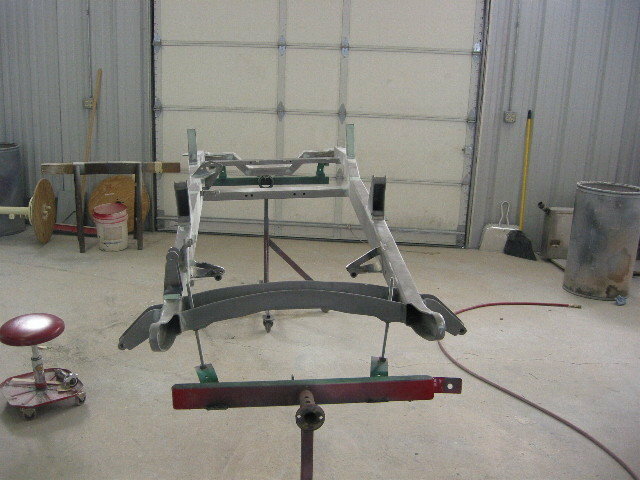 You can see in this picture how the body mounted to our rotisserie, so that we can roll it from side to side to get paint on the roof and underpart of the car. 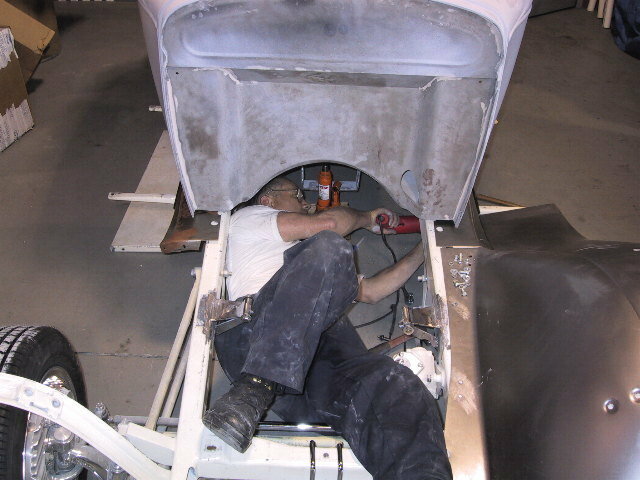 The frame has also been put on a rotisserie which allows us to get in all the nooks and crannies. Shazaam! 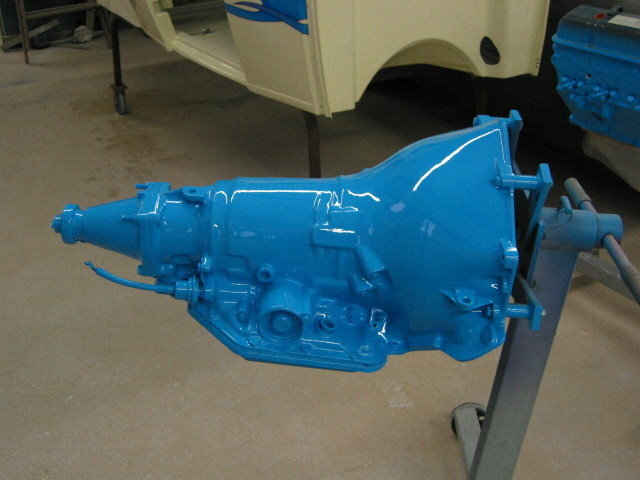 The body is painted and being set back on the chassis. 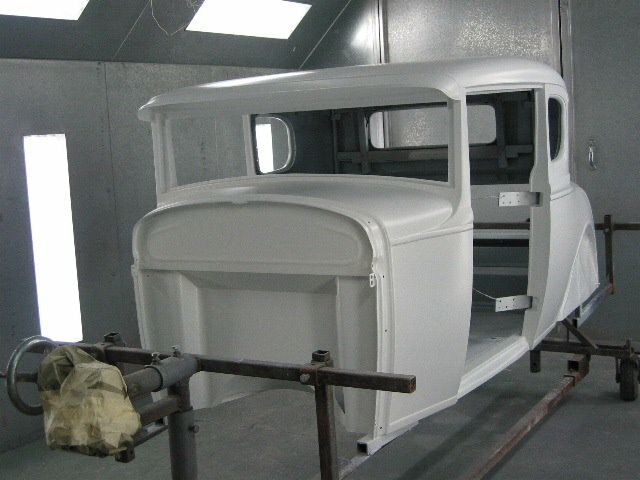 The doors, hood sides and grill shell all are fitting nicely. 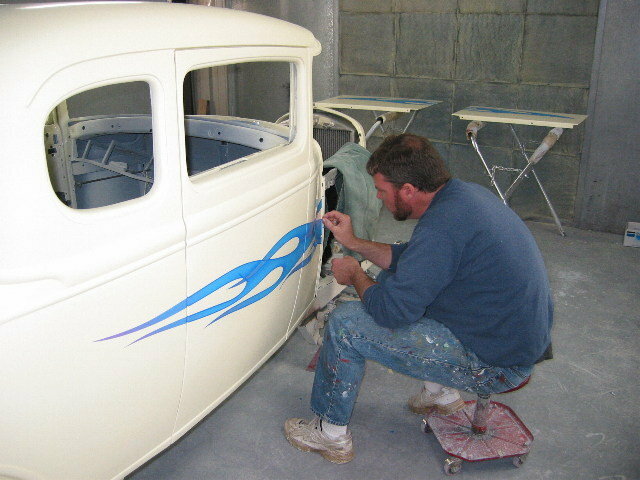 Clint Clarneau is doing a good job laying out the flames on Bill's Model A. Normally I would not have used blue flames on any of my builds, but these flames against the PPG Vanilla Shake look bitchin. You can see in this picture that the flames have been striped and shaded. 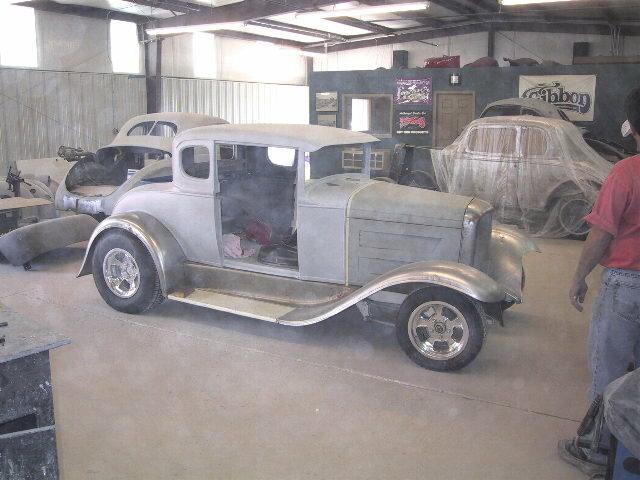 Also the door is off so that we could wrap the flames inside of the door jambs. Blue flames...Blue engine. The contrast looks great!